Our second contributor that we welcome to the floor is Kalpesh Lathigra. Lathigra was born in London in 1971 and studied photography at the London College of Printing. After leaving the course in 1994, he worked at The Independent as a staff photographer before freelancing for national newspapers for 6 years. In 2000 Lathigra made the decision to start working on long term personal projects alongside international magazine and commercial assignments, including documentary and portraiture. He received the W. Eugene Smith Fellowship and Churchill Fellowship for his project documenting the lives of widows in India. Since 2000, Lathigra’s work has received numerous prizes. His first book, Lost In The Wilderness, will be published in 2014. 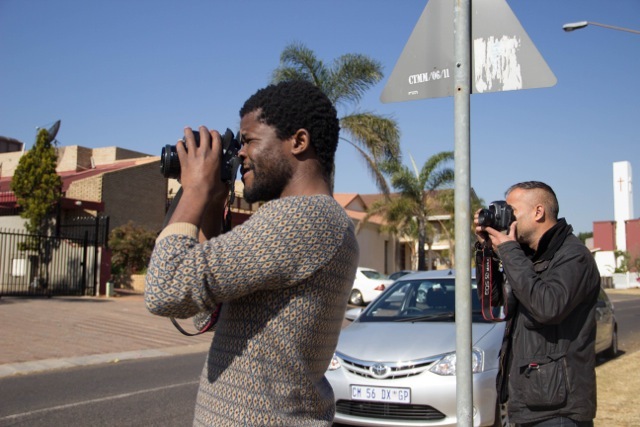 Kalpesh’s involvement with the Biennial includes his co-commission with Thabiso Sekgala, A Return to Elsewhere, where the duo have used the framework of collaboration to develop work at the same time in two cities.